Is 21 the Magic Climate Number? August 14, 2017 update: Plaintiff Sophie Kivlehan and her grandfather James Hansen penned an excellent op-ed about the case in the Boston Globe ... a copy of "OK US Government -- See You In Court" is here. 21 is a number that's come up a lot in recent climate discussions. 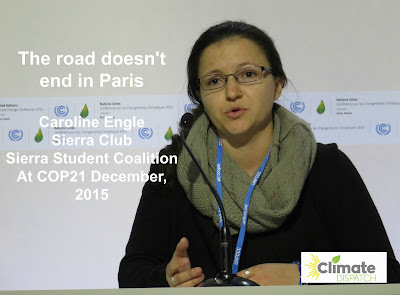 It took world leaders 21 years to reach the agreement on climate change announced in Paris last year at COP21. 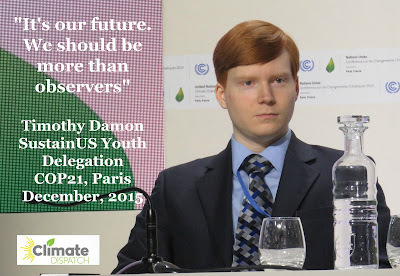 It took 21 young plaintiffs, all under 21 years old just a few months to get the green light to proceed with a lawsuit against the United States Government asserting that inaction on climate deprives them of life, liberty and "a climate system capable of sustaining human life." The case could have interesting implications for the Donald Trump administration when the case goes to trial in 2017. Plaintiffs and attorneys hold hold a press conference on the steps of the Federal Courthouse in Eugene. 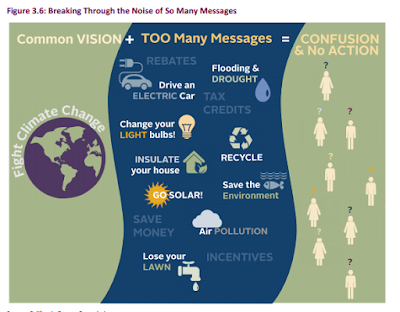 science based action on climate change change. 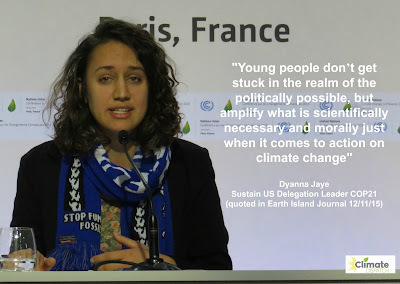 "plaintiffs' alleged injuries - harm to their personal, economic and aesthetic interests - are concrete and particularized"
This federal case is one of many related legal actions brought by youth in several states and countries, all supported by Our Children’s Trust, seeking science-based action by governments to stabilize the climate system. The case also follows a similar case decided in the Netherlands in 2015. In the Dutch case, the courts ruled on behalf of youth that the government must more quickly reduce fossil fuel emissions (see Guardian story here). News of the action in the Our Children's Trust case came to delegates at the COP22 event in Marrakech, Morocco just as they were learning that Donald Trump had won the U.S. election. The possibility of U.S. courts stepping in on behalf of future generations was well received by those worried about the direction the U.S. might take under the new administration. "Judge Aiken recognized the inherent sovereign duty of the U.S. government to protect the fundamental rights of young people and future generations to life, liberty, and a climate system capable of sustaining human life," said Elizabeth Brown, staff attorney for Our Children's Trust at a press conference during COP22 on November 11. "These youth plaintiffs now have the opportunity to prove in court that the U.S. has knowingly put them and their generation in grave danger, trading their futures for the short-term profits for a few, in violation of their constitutional and public trust rights," said attorney Borwn. 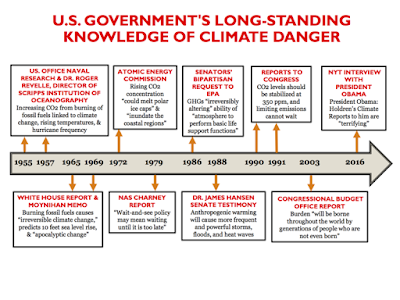 "Plaintiffs will ask this court to order the federal defendants to put the United States on a science-based path to climate stabilization." "We as young people have a right to life on this planet," said Daniel Jubelirer, a youth organizer and activist working with plaintiff organization Earth Guardians. This case going to trial proves that our futures matter .. we'll see President Elect Trump in court." "It's clear Judge Aiken gets what's at stake for us," said 17-year-old plaintiff Victoria Barrett, from White Plains, New York. "Our planet and our generation don't have time to waste. We are moving to trial and I'm looking forward to having the world see the incredible power my generation holds." At the Marrakech press conference, Columbia University Professor Jeffrey Sachs (recognized by Economist magazine as one of the three most influential living economists) discussed the importance of this precedent-setting lawsuit to resolving climate issues and protecting future generations. "The judiciary," he said, "is the final place where citizens have their redress for rights denied." 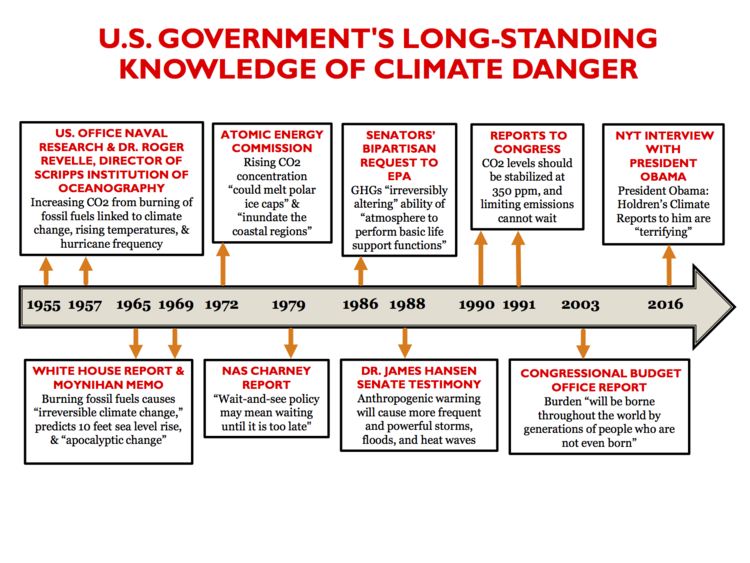 "Simply put: Our government’s persistent permitting and underwriting of fossil fuel projects serves now to further disrupt the favorable climate system that to date enabled human civilization to develop. 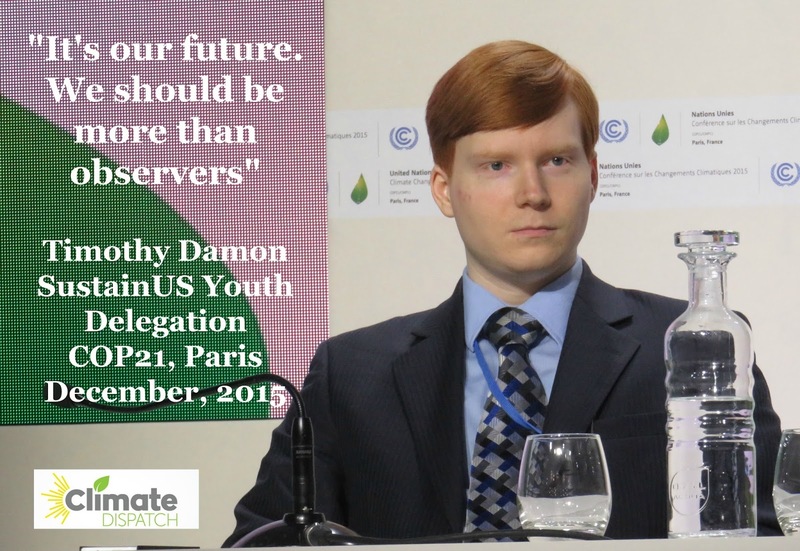 In order to preserve a viable climate system, our use of fossil fuels must be phased out as rapidly as is feasible. ... Our government’s permitting of additional, new, or renewed fossil fuel projects is entirely antithetical to its fundamental responsibility to our children and their posterity. Their fundamental rights now hang in the balance." Declaration of Dr. James E. Hansen, page 31. In late November, the court said they expect the case to go to trial in the summer or fall of 2017, even though the defendants argued that it could take five years to go through procedural matters and discovery. Attorneys for the youth said they want to proceed. “We will push quickly to trial. 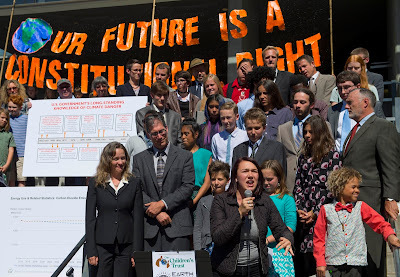 The urgency of the climate emergency demands it,” said Julia Olson, counsel for Plaintiffs. 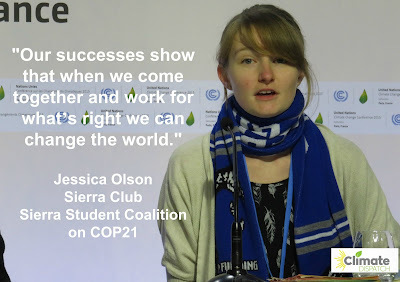 If these 21 youth are successful at trial, their case will contribute to needed and rapid solutions to the climate crisis, making the 21st and future centuries more livable century than they would otherwise be. 21 may indeed be an interesting climate number. Photos of the youth plaintiffs and statements from each can be found here. This case is also starting to get attention in national media, including a Washington Post story here and New Yorker story here. Without plug-in transportation, we won't meet targets of a 40% reduction in fossil fuel use by 2030 and 80% by 2050. All of those plug-in vehicle will need infrastructure on the other end of the plug ranging from charging stations to storage to renewable energy power generating facilities. 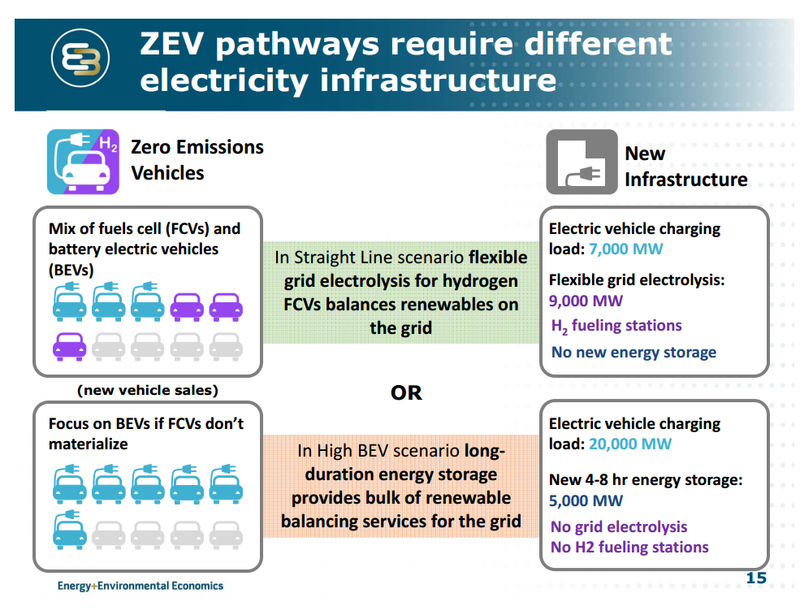 California continues to show leadership in providing incentives for all aspects electric vehicle (EV) deployment from vehicle manufacturing and ownership (see, for example, CalGreenFinance post on manufacturing incentives here) to charging infrastructure. The state is now looking further into how to assure there will be adequate infrastructure for the increasing number of electric vehicles. 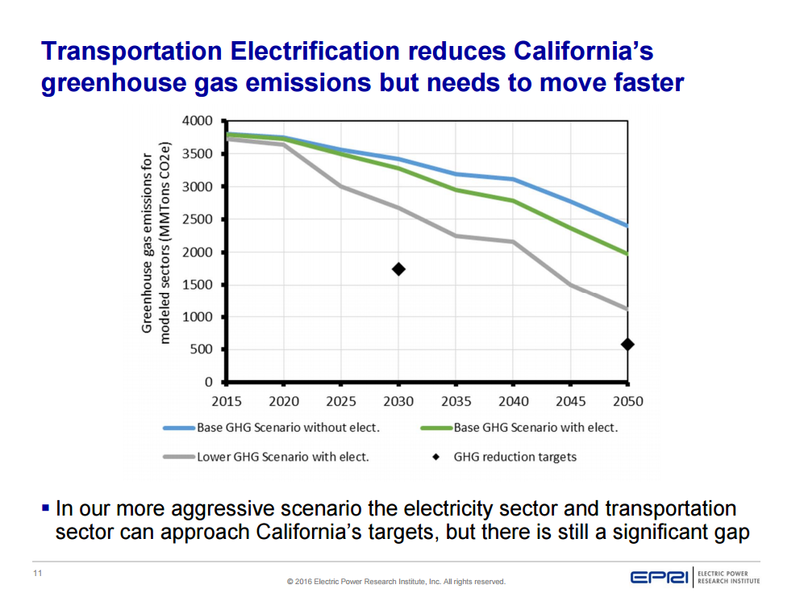 This is part of a larger strategy to address greenhouse gas emissions in the transportation sector (see prior Climate Dispatch post on California transportation strategies here). 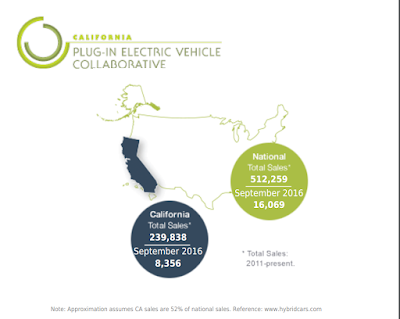 California expects the number of plug-in vehicles to reach one million by 2020 and 1.5 million by 2025. California utilities are preparing for this surge of electric vehicles, including how to provide enough electricity at the right times of day and deciding what role they should play in delivering that electricity to cars. To give a sense of the magnitude of the electric vehicle deployment, estimates in the Sacramento Municipal Utility District area suggest that we will need to move from 4300 plug in vehicles on the road today in the area to 240,000 by 2030. SMUD serves 1.4 million residents. 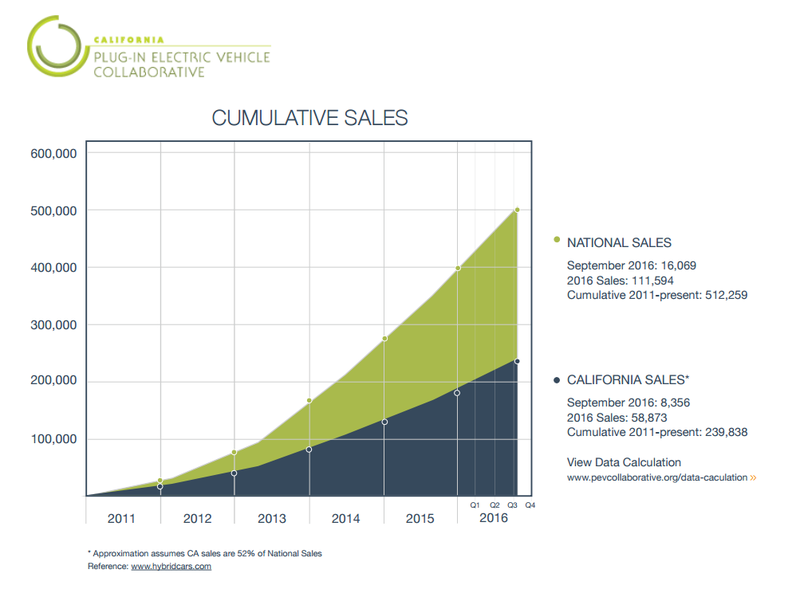 Similar electric vehicle increases are expected throughout the state. 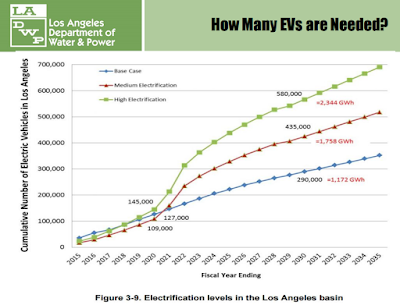 The Los Angeles Department of Water and Power estimates that 145,000 plug in electric vehicles will be needed in their area in five years and 580,000 by 2030 to meet climate goals. The Governor also established the Sustainable Freight Executive Order to set targets to accelerate adoption of zero emission transportation options in the freight sector by 2030. The California Air Resources Board’s (CARB) zero emission vehicle mandate requires automakers to offer specified numbers of ZEVs for sale in California by 2020. 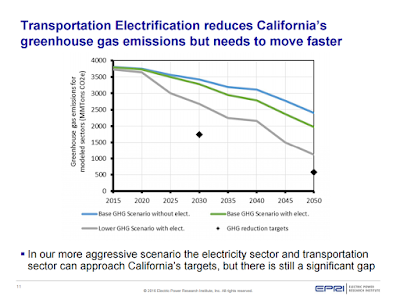 CARB’s Low Carbon Fuel Standard requires a 10 percent carbon intensity reduction in gasoline and diesel fuel sold in California by 2020 and electric transportation is one option to displace petroleum fuels and help fulfill that objective. CARB also provides incentive rebates and vouchers in conjunction with federal tax credits to reduce the purchase price of ZEVs and the Energy Commission complements these efforts with its support through its own program to plan and deploy electric vehicle charging infrastructure 3 throughout California as part of the Alternative and Renewable Fuel and Vehicle Technology Program (ARFVTP). SB350 of 2015 requires utilities, in conjunction with the requirements/processes of the Public Utilities Commission (PUC) and Energy Commission, to plan for electric vehicle deployment and infrastructure. The investor-owned utilities (i.e. 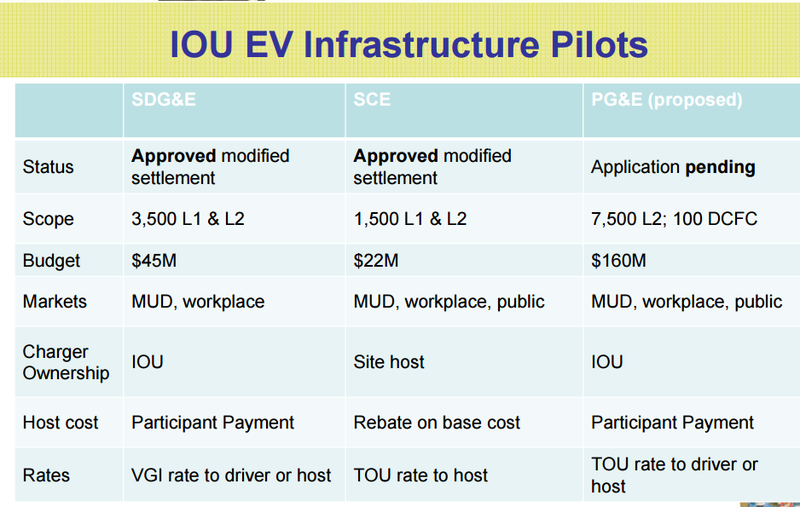 those regulated by the Public Utilities Commission) are evaluating how to assist electric vehicle infrastructure and electric vehicle deployment. The utilities are seen as a major source of know-how and capital to improve the infrastructure, but there are concerns from those who worry about the utilities competing with others who want to deploy electric vehicle chargers. 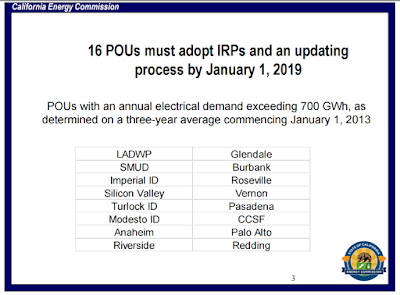 The investor-owned utilities have been told to present transportation electrification plans by January, 2017 (larger utilities: PG&E, SCE, SDG&E) or July 2017 (smaller utilities: Liberty Utilities, Bear Valley Electric, PacifiCorp). 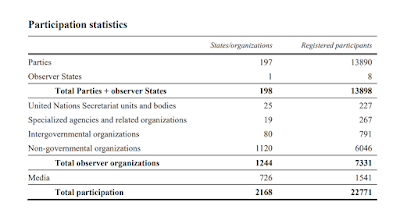 According to PUC Analyst Amy Mesrobian, it is possible for utilities to collaborate with each other on joint projects or to even work with nearby publicly owned utilities. The utilities regulated by the PUC will also be able to fast-track approval of smaller (less than $4 million) non-controversial projects. The PUC is already working with the utilities on pilot projects to examine the effectiveness of charging infrastructure through the installation of over 12,000 units. More information on the PUC and investor owned utility programs can be found here. The publicly owned utilities in California are grappling with how to develop infrastructure in their communities. The 16 largest public utilities, including SMUD, LADWP and others (see chart below) are required under SB350 to develop specific "Integrated Resource Plans" addressing renewable energy, greenhouse gas reduction and transportation electrification issues by 2019. The Energy Commission workshop included presentations from several of the publicly owned utilities and other experts. 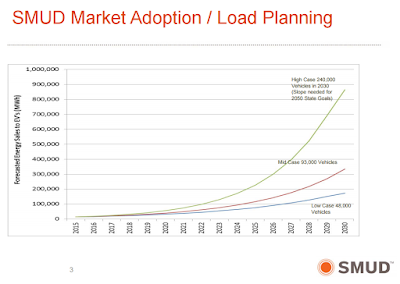 There are not enough charging locations in place or planned to meet anticipated growth. In The electric grid is getting cleaner as more renewable projects come online. As a result the benefits of electric cars are increasing. Customer choice is helping to propel more interest in electric vehicles. 43 new models are expected in the next four years. Increased range is also helping drive interest. Upcoming models will get more than 200 miles and that may soon become the expected range. Solar electric generation has caused an oversupply of energy mid-day in California. There may be ways to use the electric fleet as part of the solution to store electricity or charge during times of abundance. Fuel-cell vehicles could also be part of the solution if hydrogen is produced with excess power. Time of use rates are an effective way to match electric production peaks with consumer demand. Electric vehicle charging at the right time can help significantly. Providing charging in multi-family and rental housing is challenging and must be addressed in order to meet the electric vehicle targets. 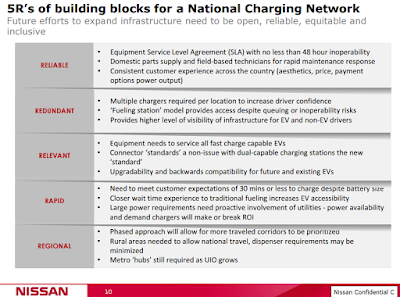 The fast-charger network must continue to expand to keep up with electric vehicle fleet expansion. The demand for use of existing fast chargers is very high. Fast chargers will be be even faster in the future as new ones are able to deliver increasing amounts of electricity. There is not yet a good business case for chargers. They generally cost more to install/maintain than the revenue they generate. Building code changes to require chargers in new construction or renovations can be helpful. Copies of presentations from the workshop are online here and some highlights are included below. 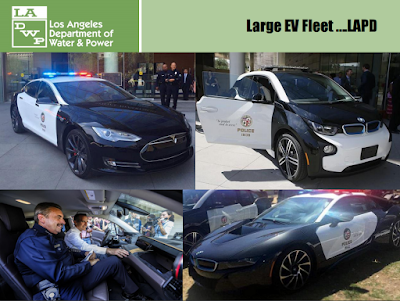 The City of Los Angeles is implementing plans for scaling up electric vehicle infrastructure. 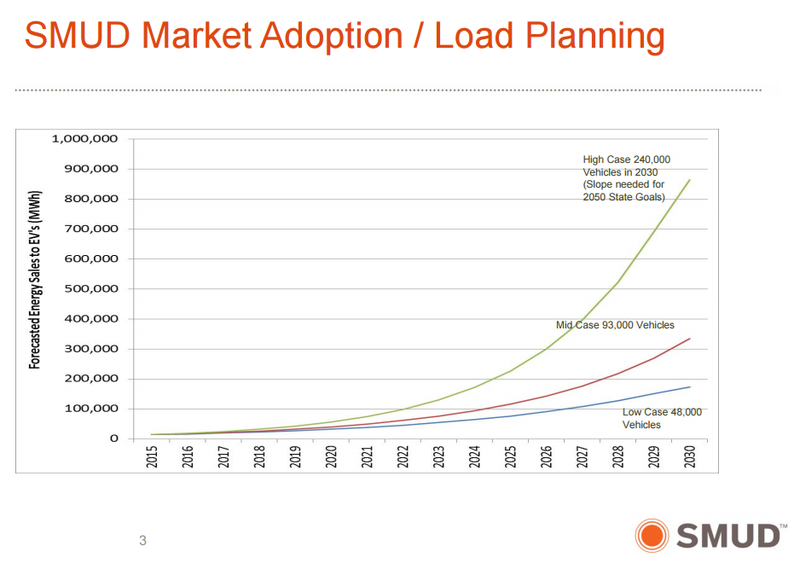 They hope to go from about 23,000 plug-in electric vehicles today to 145,000 within 5 years and 580,000 by 2030. To do this, new car sales in the region will need to be about 15% plug-in by 2020. 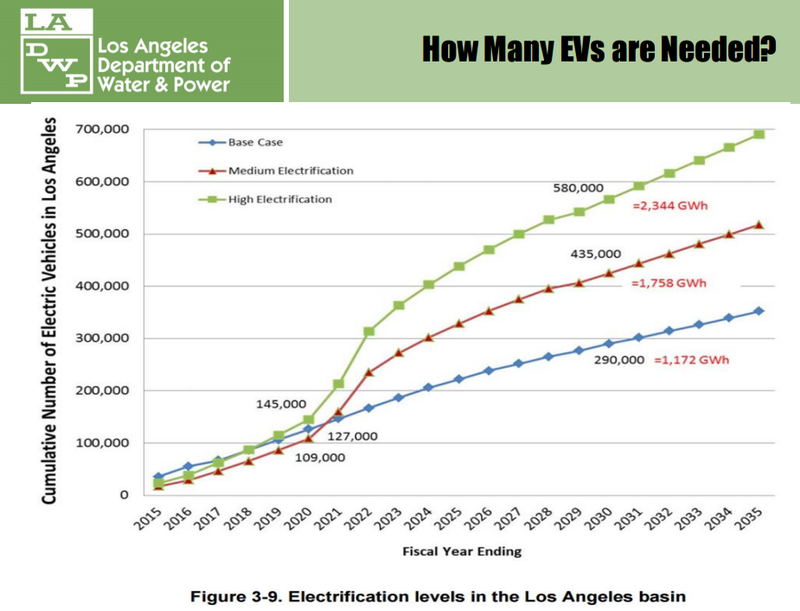 The Los Angeles City Council is engaged in pushing for better electric vehicle infrastructure. 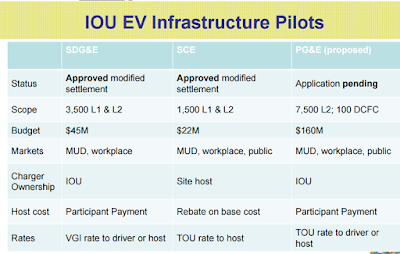 They are changing codes to require electric vehicle chargers in new construction. City fleets, including the police department, will increase their plug-in fleets to 1,600 vehicles. The city plans to install over 3,000 chargers and encourage at least 10,000 or more public charging stations in the next five years. The city chargers will include 1,000 curbside chargers. 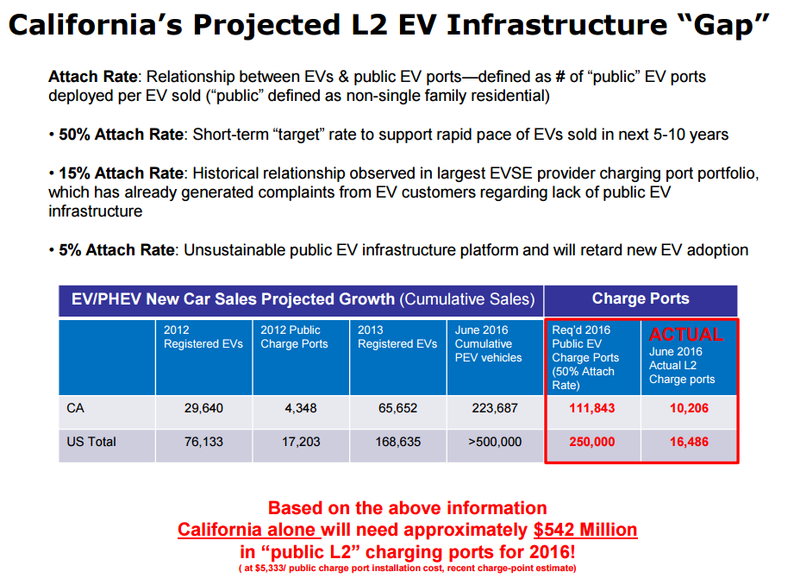 More on Los Angeles electric vehicle plans in their presentation here. 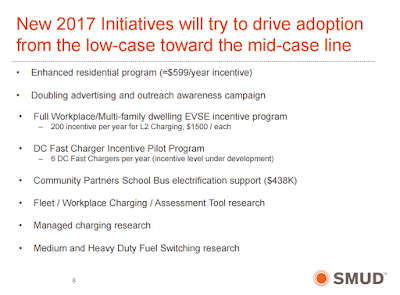 The Sacramento Municipal Utility District (SMUD) has several programs to encourage electric vehicle use and plans to expand these in 2017. SMUD is deploying six DC fast chargers in the community, including chargers at the Sacramento Airport, the Sacramento Valley Train Station, Nugget Market in Elk Grove and elsewhere. They have a "charge free for a year" program to provide a rebate on electricity costs for electric vehicle users. They are expanding efforts to deploy chargers in multi-family dwellings and low income communities. 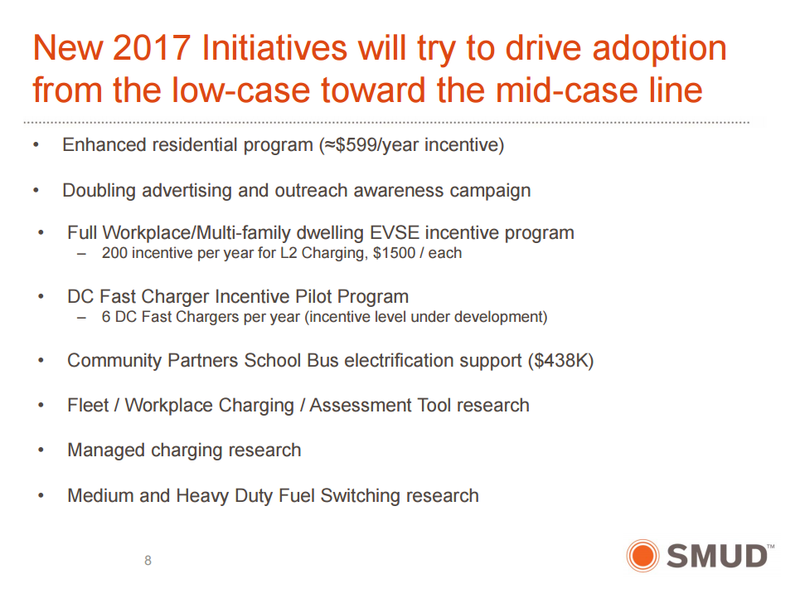 For 2017, SMUD is planning to expand their initiatives, including doubling their residential incentive from $300 to $600, providing incentives for multi-family and workplace charging and expanding the DC fast charger network. 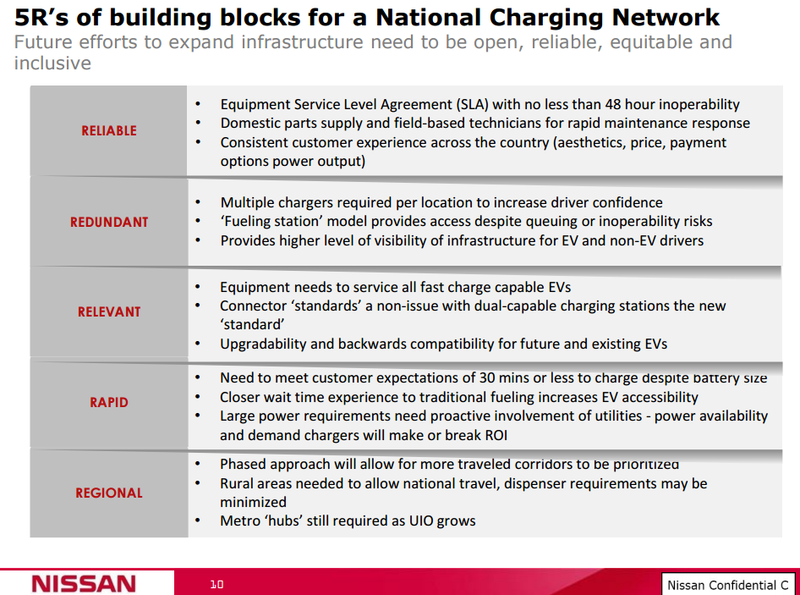 Nissan representative John Tillman emphasized the need for expanding charging infrastructure. 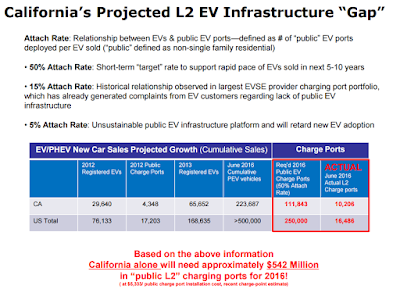 He pointed out that California has slightly more than 10,000 level-2 public charging locations, but could use 100,000 or more to meet the rapid pace of electric vehicle adoption. One concern raised by the Energy Commission is that building owners are faced with many overlapping messages and the resulting confusion may result in inaction. A team from U.C. Berkeley and Stanford is working on a novel approach to induce homeowners to install a range of climate-friendly energy, water and transportation retrofits. Rather than look at retrofits on a single home, they are concentrating on an entire square block of homes. By retrofitting many adjacent homes at once, a number of measures that aren't practical for a single home suddenly make sense for the collection of homes. And, all homeowners on the square block should see savings in utility bills. Professor Fraker and his colleagues have proposed an EcoBlock pilot project in Oakland to decarbonize a group of 28 homes and a few businesses. They are hopeful the project will receive initial funding in the next few months. 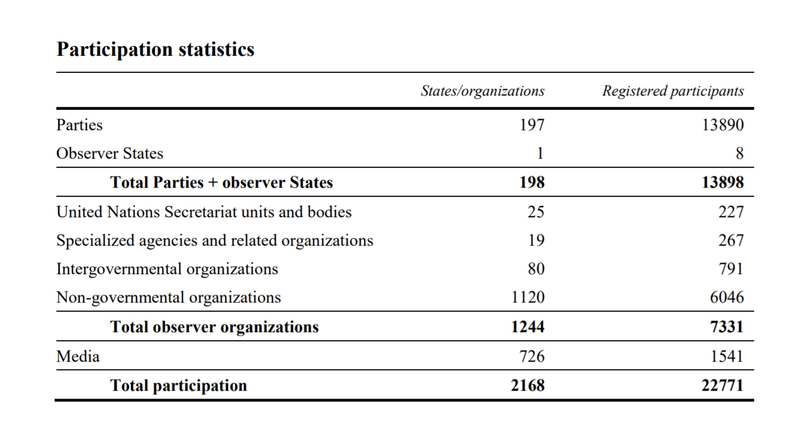 If successful, the project could be replicated on blocks throughout the state and country. This will be accomplished through a series of inter-related systems. Solar panels will be the basic energy source, backed up by a storage in batteries, flywheels and shared electric cars. The batteries, including car batteries, will help manage the electric load of the dwellings. The homes will be retrofitted to achieve "deep energy" savings through lighting, window replacements and appliances. All gas-fired appliances will be replaced with super efficient electric units. Part of the team is a group from Sanford working on the water system. Rainwater and greywater will be captured for reuse. Wastewater will be treated and used for irrigation of trees and gardens. 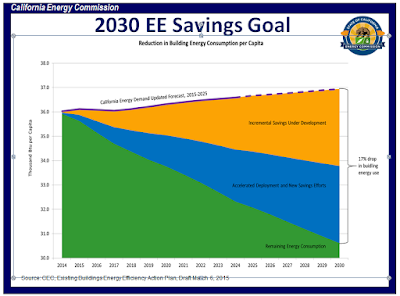 Professor Fraker says they will be able to reduce total home energy use from 690 megawatt hours per year to 280 megawatt hours with the energy retrofits. The solar is expected to produce 350 megawatt hours, with the net surplus powering the vehicle batteries. The utility and transportation savings from will be used, in part, to cover the cost of many of the efficiency improvements. If successful, the EcoBlock could either be disruptive to the current utility structure, or could give utilities a new mission. Creative entrepreneurs could retrofit large areas of California while minimizing or eliminating the need for traditional utility customer relationships. Alternatively, the installation and maintenance of EcoBlocks could be a new business paradigm for utilities as they evolve into energy and environmental servicers.